Watch how your friends look at you at a whole new light when you start wearing Stacy Adams shoes from Contempo. Stacy Adams continues to bring style to your fashion plate with their ever changing styles that always look great. 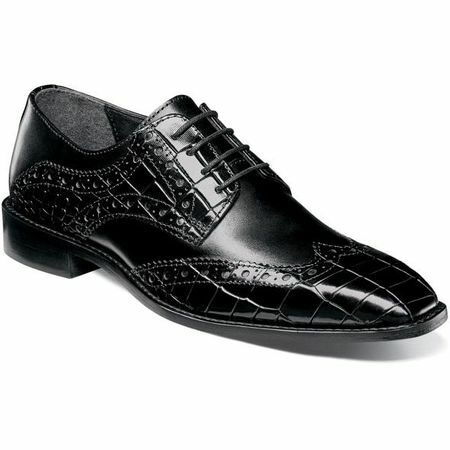 These black wing tip shoes have both alligator printed leathers and smooth black leather for a look that people will swear you spent big bucks on.